In the mounting legal struggle over defective Takata airbags, the airbag inflators themselves have become a precious commodity, says one plaintiffs’ attorneys. The attorney suing Takata over harm caused by the company’s defective airbags wants access to recalled inflators to test and build their case. But for now, Takata’s not sharing. Instead, the embattled supplier is amassing a stockpile of the suspect inflators swapped out of recalled vehicles. It needs the inflators for its own testing operation being conducted under government oversight to find the root cause of the defect, the results of which are also being shared with automakers. Lawmakers have questioned the arrangement and are pressing safety regulators to let other entities start testing. “This is a classic example of the fox guarding the henhouse, and it should be remedied immediately,” U.S. Sens. Edward Markey, D-Mass., Richard Blumenthal, D-Conn. and Bill Nelson, D-Fla., said in a Jan. 30 letter to Mark Rosekind, head of the National Highway Traffic Safety Administration. Kevin Dean, the South Carolina attorney behind the fight for access to recalled inflators, says the situation has left him and other attorneys without the parts needed to investigate the defect on behalf of their clients. Such work has proven crucial in recent defect cases. It was the work of Georgia attorney Lance Cooper that provided the major breakthrough to identify the underlying defect in General Motors ignition switches that had evaded regulators and GM for years. Complicating matters in the Takata case are junkyard operators jockeying for their own advantage. 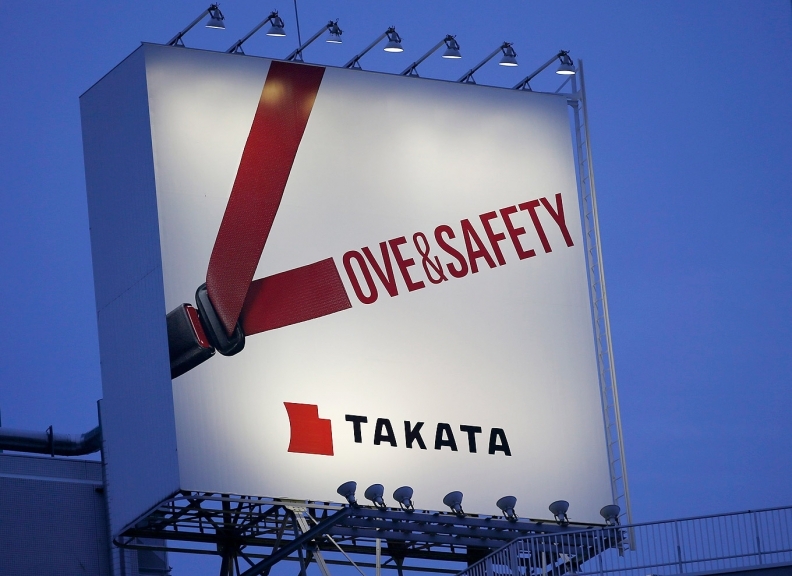 A trade association for the salvage yard operators has sued Takata, claiming that the defects lowered the value of their merchandise. The association has advised its members to hold onto their inflators as evidence, squeezing a major source of parts for product liability attorneys. Dean’s two lawsuits against Takata are among the more than 80 that are being consolidated into a single U.S. District Court in Florida to streamline the litigation. Takata, under court supervision, could have to share its inflators with plaintiffs across the country. Takata airbags that could explode in a crash and spray occupants with shards of metal have been linked to six deaths plus dozens more injuries. Around 24 million vehicles worldwide have been recalled for the problem. Takata and Honda, the automaker with the most vehicles covered by the recalls, have come under close scrutiny by regulators and members of Congress, who held several hearings into the recalls last year. Dean has sought court orders to set aside and preserve inflators taken out of recalled vehicles for future independent testing, arguing that the inflators are critical evidence needed in his two cases. Dean says a test of eight Takata inflators resulted in three ruptures that produced metal shrapnel. Tests of more than two dozen inflators saw no ruptures but produced stronger than normal airbag deployments, he said. According to court filings in Dean’s cases, Takata has agreed to store inflators retrieved from recalled vehicles at its facility in Auburn Hills, Mich., but Dean says no arrangements have been made to preserve any inflators for third-party testing other than tests done or commissioned by Takata. Those arrangements could be made down the road. Dean said he plans to ask the Florida court where all 80-plus Takata lawsuits are being transferred for an order requiring Takata to set aside 10 percent of all recalled inflators for outside testing. In a statement, Takata says that process should play out before a court weighs in with a ruling that will affect how the hundreds of thousands of inflators in Takata’s hands are to be stored, and who can access them. Dean’s hope is that the Florida court paves the way for an independent testing operation with input from other Takata plaintiffs and NHTSA. “I would commit to collaborate, share, advise and assist NHTSA in any way possible to address a serious public safety defect,” Dean said. Meanwhile, Takata is receiving 12,000 to 15,000 recalled inflators per day at its facility in Auburn Hills, Mich. It is testing around 300 inflators per day, according to court documents. The data and results of those tests are being shared with automakers and with NHTSA to support the agency’s ongoing investigation into the defect. A consortium of 10 automakers affected by the recalls is still in its formative stages and has yet to select an engineering firm to conduct its testing. But that doesn’t change the situation for Dean. Dean and his associates are still hunting down inflators to add to his “small inventory,” but they’re becoming harder to find and the costs are mounting, he says. Dean declined to say how many inflators he has. “We have legal obligations related to expert testimony to conduct our own independent testing, and we also want to do our own testing to analyze for ourselves the problem,” Dean said. Yet to date, neither NHTSA, Takata nor American Honda, the automaker most affected by the airbag recalls, have pinpointed a root cause of the inflator explosions, which have been linked to seven deaths. Henry Didier, a friend of Dean’s and a Florida attorney, says the fact that the root cause has evaded investigators for years illustrates the need for a fresh set of eyes to investigate the defect. Didier represents the family of Hien Tran, who died after her Takata inflator exploded in a crash last September, and who is also suing Takata.